Essential Craftsman is committed to expanding the scope of craftsmanship across the globe. A few years ago this would have sounded like a silly and unrealistic mission. Today it is very real indeed. The YouTube channel has already expanded far beyond our initial expectations and exposed void in modern media and entertainment. Essential Craftsman is 'Reality TV' without the fake drama, endless advertisements, paid actors, corporate culture, or watered down content. If you value the videos and material we produce, we invite you to support Essential Craftsman. Without viewer support, we will have no choice but to let the project go and leave this media void unfilled. There are multiple ways you can can support this effort. There is a lot that goes into Essential Craftsman on a daily basis to keep this community active. The obvious items include filming and editing. Less obvious examples include the hours of discussion on topics, upkeep on Facebook and Instagram, working on this website, interacting and answering viewers questions and emails, traveling (between Arizona and Oregon), cleaning and keeping the shop tidy (it would look a lot more like Cy's if we weren't filming in there! ), purchasing the tools and products you see us reviewing and describing in many videos, and interacting and hiring other team members (video and design) who can help us learn this new trade. Keep in mind that Scott comes 100% from a construction background, and Nate from real estate. Video production is new craft for us. If Essential Craftsman has been meaningful to you, and created value in your life - please consider supporting. Your donations contribute directly to the creation of this content. Our goal is to encourage people to take up a craft no matter how small or large. 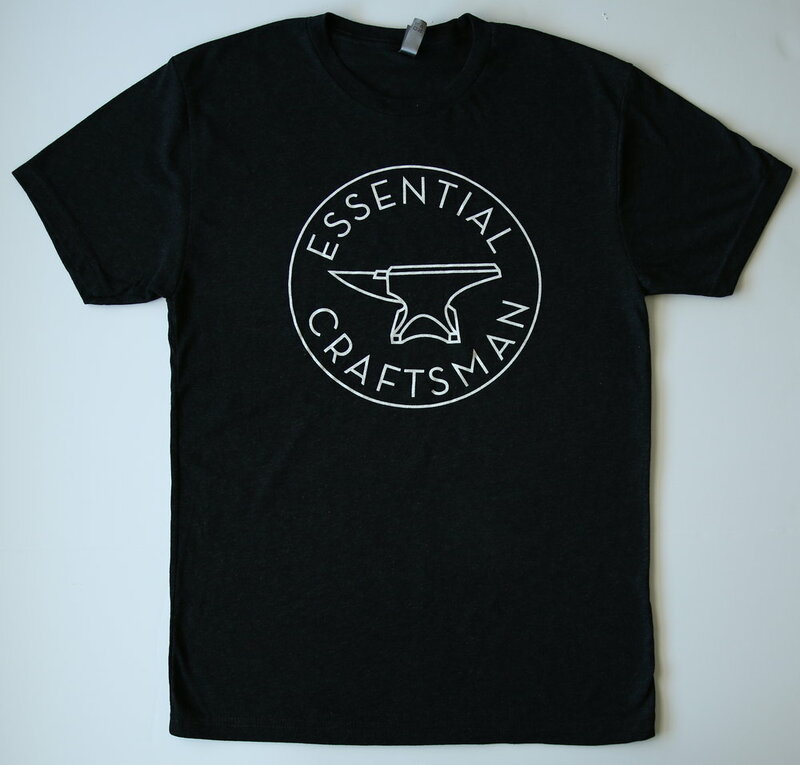 Buying merchandise from our store promotes Essential Craftsman in front of your friends and family. It makes a small contribution toward the costs of running the channel, and it serves as a subtle reminder of your duty to spread craftsmanship in your sphere of influence. Our shop has T-Shirts, Sweat Shirts, Mugs, and more - in every color imaginable. By expanding our audience we are able to increase the size of our reach and earn money from the ads YouTube places on our videos. While it is not a significant amount of money, every little bit helps. It makes a real difference when combined with the other methods of supporting Essential Craftsman. YouTube provides a unique platform, and there are several other channels doing similar and valuable work. We encourage you to support all of these creators. After all, we gotta do something to fight these cat videos! For the die-hard supporters, we invite you to consider supporting us on Patreon. This is a donation platform where you can donate directly to Essential Craftsman. Many donate just a dollar or two each month, which makes a real impact. For those of you who have chosen to support us in this way - thank you very, very much. If you are looking to make a larger donation, consider using the link above. We thank you for supporting Essential Craftsman. Our goal is to create value for you by promoting and encouraging craftsmanship. Whether you are a tradesman, hobbyist, weekend warrior, excited beginner, or just a consumer of quality media, we feel your life can be improved by understanding more about craftsmanship, tools, safety and productivity. Your support allows us to pursue these goals.